The future of infectious disease surveillance and outbreak response is trending towards smaller hand-held solutions for point-of-need pathogen detection. 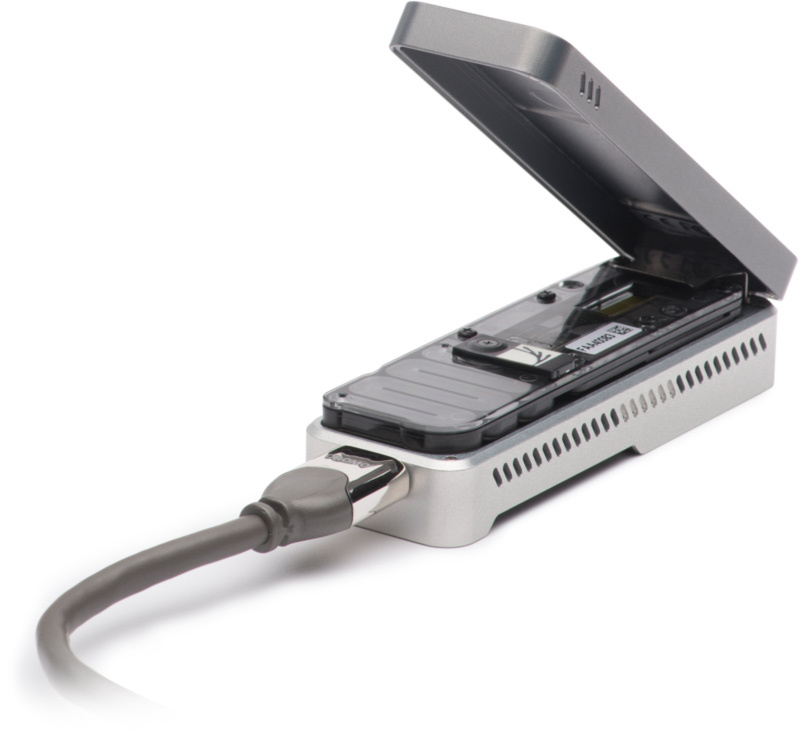 Although recent advances have paved the way for these technologies to include sequencing of pathogens directly from clinical samples, the ability to carry out unbiased sequencing for pathogen discovery and subtyping directly from environmental samples has yet to be demonstrated with hand-held platforms. Products such as the two3 qPCR system from Biomeme Inc., as well as the MinION from Oxford Nanopore Technologies, have generated renewed prospects for point-of-need diagnostics and near real-time environmental testing and characterization of viral and microbial pathogens. Here, samples of Culex cedecei mosquitoes collected in Southern Florida, USA were tested for Venezuelan Equine Encephalitis Virus (VEEV), a previously-weaponized arthropod-borne RNA-virus capable of causing acute and fatal encephalitis in animal and human hosts. A single 20-mosquito pool tested positive for VEEV by real-time reverse transcription quantitative PCR (RT-qPCR) on the Biomeme two3. The virus-positive sample was then subjected to unbiased metatranscriptome sequencing on the MinION and determined to contain Everglades Virus (EVEV), a strain of VEEV transmitted exclusively by Culex cedecei in South Florida. The result was confirmed on "gold standard" thermocyclers and sequencing machines, and comparison to nanopore results is discussed. Our results demonstrate, for the first time, the use of unbiased sequence-based detection and subtyping of a high-consequence biothreat pathogen directly from an environmental sample using field-forward hardware and protocols. The further development and validation of methods designed for field-based diagnostic metagenomics and pathogen discovery, such as those suitable for use in mobile "pocket laboratories", will address a growing demand for public health teams to carry out their mission where it is most urgent: at the point-of-need. Joseph A. Russell, Brittany Campos, Jennifer Stone, Erik M. Blosser, Nathan Burkett-Cadena, Jonathan L. Jacobs.